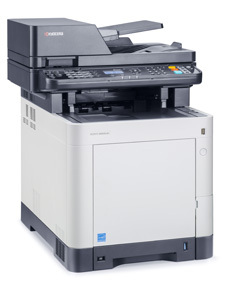 These productive multifunctional devices offer fast print speeds and a short wait for the first copy. Their high input capacity and exceptional scanning performance make large digitisation projects a breeze. And thanks to their minimum downtime – based on the KYOCERA long-life components – plus full duplex support, they are ideal for busy, environmentally aware offices.